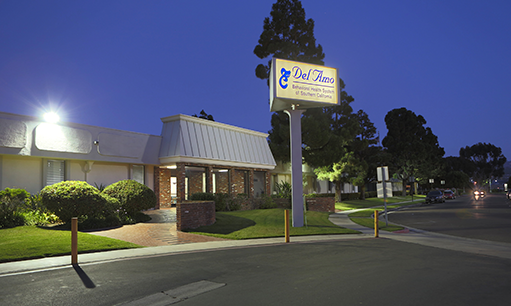 Del Amo Behavioral Health is a private behavioral health hospital licensed by the State of California Department of Health Services. The facility is located near Torrance Memorial Hospital, accessible off of Skypark, at 23700 Camino del Sol, Torrance, CA 90505. (800) 824-4936. The facility accommodates both adult and youth patients, and is accessible 24 hours for those with behavioral health issues. College Medical Center, formerly Pacific Hospital of Long Beach, is a full-service medical hospital that offers a comprehensive inpatient behavioral health program for adults (18 years and older). The facility is located just West of Long Beach Memorial Medical Center off of Willow. It offers 24-hour psychiatric evaluations, crisis intervention and referral. Family support is available through NAMI. NAMI Long Beach meets at College Medical Center. Community-based, infant/early childhood mental-health-treatment programs provide families with needed services and support when families identify challenges working through atypical behaviors in very young children or managing the after-effects of difficult family experiences or traumatic exposure. See THIS POST for more information.